View the Summer 2019 Catalog Online NEW! View the OLLI Summer 2019 Catalog NEW! Open Monday - Friday, 7:30 a.m. - 9:00 p.m. 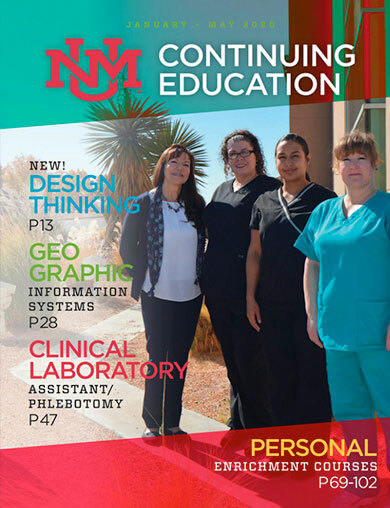 Most weekends, 8:00 a.m. - 4:00 p.m.
UNMCE Catalogs are distributed in racks throughout Albuquerque and Rio Rancho. Our catalogs can usually be found in all public libraries, throughout the UNM Campus and in community centers.